Description: Clump-forming perennial, 8-16 inches tall. Heart-shaped 2-4 inch leaves on long stems grow both at the base of the plant and alternately along the stem. 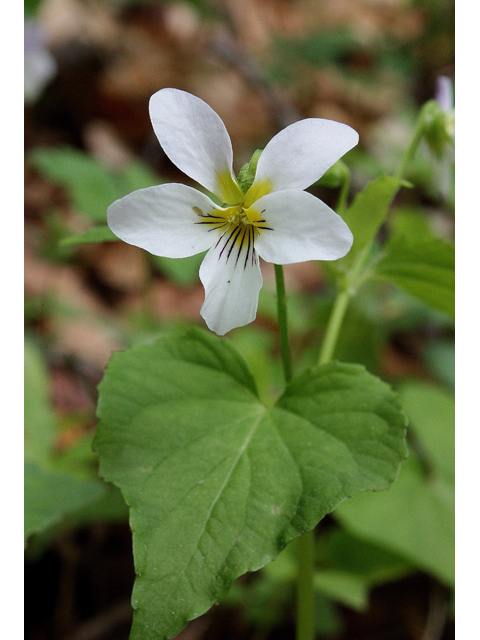 Distinguished from other white violets by yellow at base of petals and by the placement of the flowers on stalks arising from axils of upper leaves. 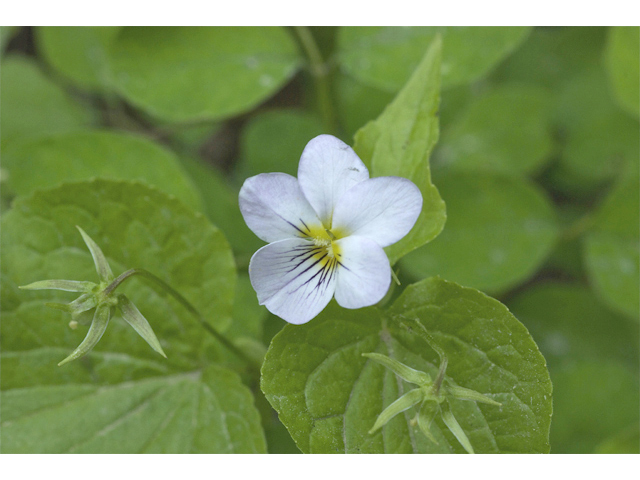 The fragrant five-petaled flowers are 1/2 -3/4" wide. The backs of the upper petals are purple-tinged. The lower petals are often marked with purple lines that serve as bee guides. Inconspicuous self-fertile flowers form later in summer. The half-inch seed capsules turn brown and split 3 ways to fling the seeds. Self-seeds freely. Growing Conditions: Dappled shade; more tolerant of full sun at cooler temperatures and can withstand full shade in summer. Prefers high quality woodlands, well drained soils. Tolerates black walnuts. 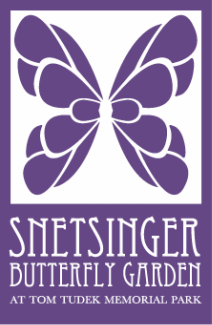 Benefit to pollinators/wildlife: Nectar and pollen attract bees, particularly bumblebees and Mason, digger, Andrenid, and Little Carpenter bees. Bee flies, skippers and butterflies also seek the nectar. Many butterfly and moth larvae feed on the leaves, usually at night. Ruffed grouse, wild turkey and box turtles eat the seeds and/or fleshy roots. Native Status: Native over northern half and much of the eastern half of the US.